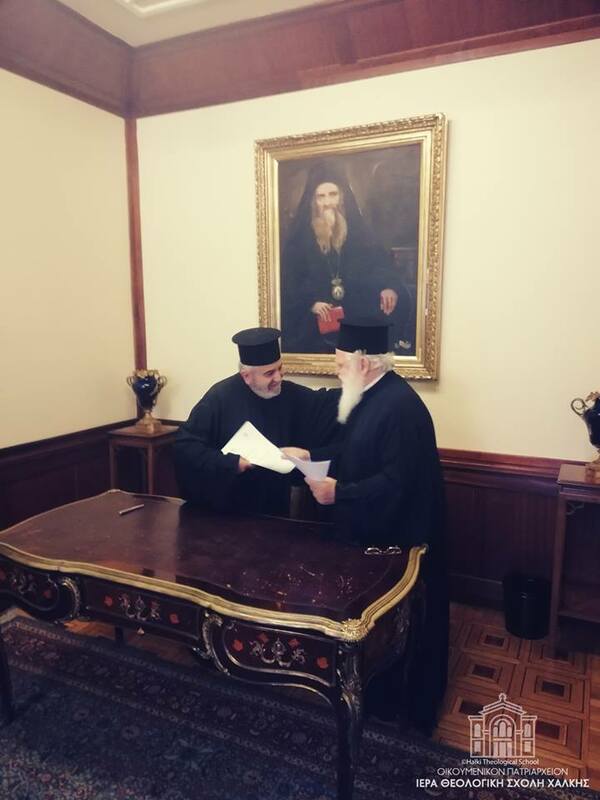 On May 22nd of 2018, a Memorandum of Cooperation was signed between the Holy Theological School of Halki and the Interοrthodox Centre of the Church of Greece in the chambers of the Ecumenical Patriarchate. His Eminence Metropolitan Elder Mr. Apostolos (Daniilidis) of Derkoi, Exarch of Bosporus, Thrace and Cyanea, the Chairman of the special committee of the Holy Theological School of Halki known as the “Ephors of the Holy Theological School of Halki”, His Eminence Metropolitan Mr. Germanos (Haviaropoulos) of Tranoupolis, His Eminence Metropolitan Mr. Chrysostomos (Kalaitzis) of Myra and Reverend Deacon Mr. Paisios Kokkinakis, the Secretary of the committee, represented the Holy Theological School of Halki. 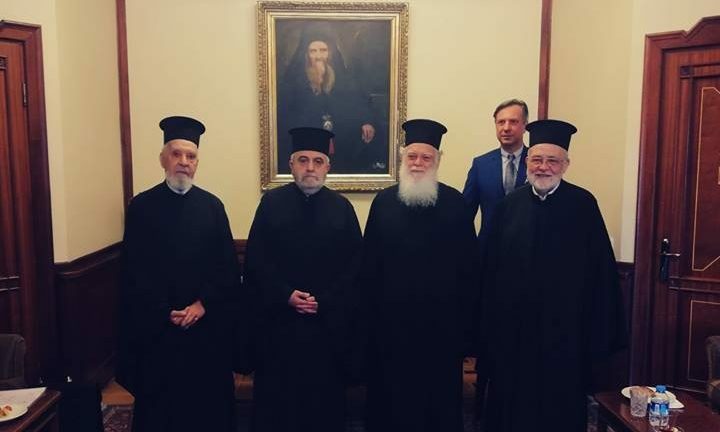 The Interorthodox Centre of the Church of Greece was represented by his Eminence Metropolitan Mr. Ioannis (Sakellariou) of Thermopylae, the Director of the Interorthodox Centre of the Church Of Greece, Mr. Sergios Voilas, the Permanent Scientific Coordinator and Mrs. Kalliopi Mavragka, the Secretary of the Interorthodox Centre of the Church Of Greece. The objective of this agreement is to promote cooperation between the Contracting Parties on issues related to the creative cooperation of our ecclesiastical libraries and to address the contemporary problems that arise at all levels. The purpose of this collaboration is defined by the memorandum itself, referring among others to “the organization and hosting of dialogue meetings (conferences, symposiums, seminars, workshops), adult education, offering hospitality to students, researchers, teachers, academics and Clergymen, documenting either printed or electronic data (Library and Internet)”. 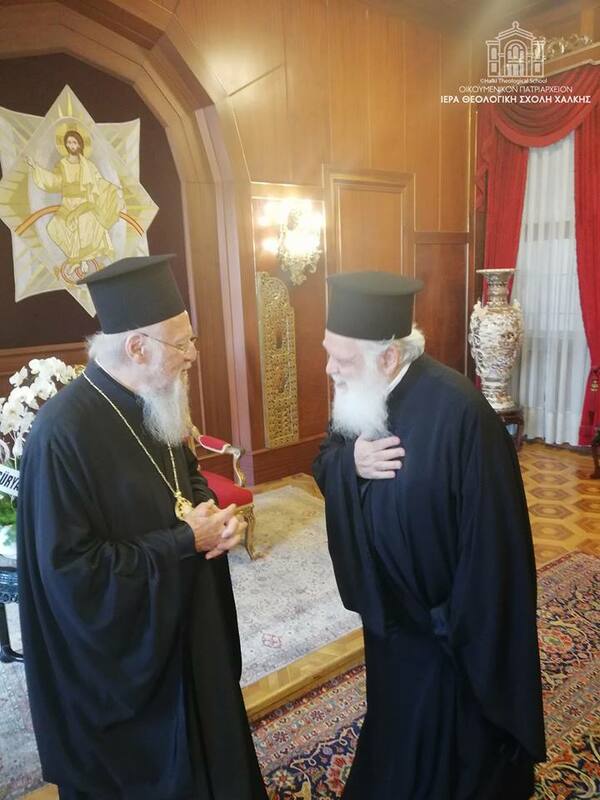 At the address that the Chairman of the Ephors of the Holy Theological School of Halki, his Eminence Metropolitan Elder Mr. Apostolos of Derkoi delivered, the importance of this cooperation was pointed out for the progress of the inter-Orthodox relations during these difficult times. In his replying speech, the Director of the Interorthodox Centre of the Church of Greece, his Eminence Metropolitan Mr. Ioannis of Thermopylae also noted the importance of this cooperation and emphasized the significance of the profound relationship between the Church of Greece and the Ecumenical Patriarchate as our Mother Church.